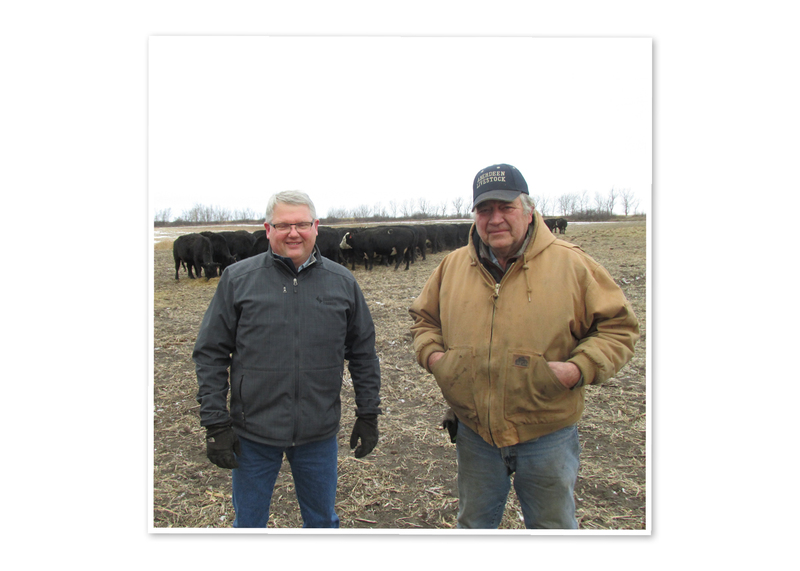 Header photo: (left to right) Ellendale Location President Jeff Petersen and Jim Henningsen standing in front of some of the cattle they saved. 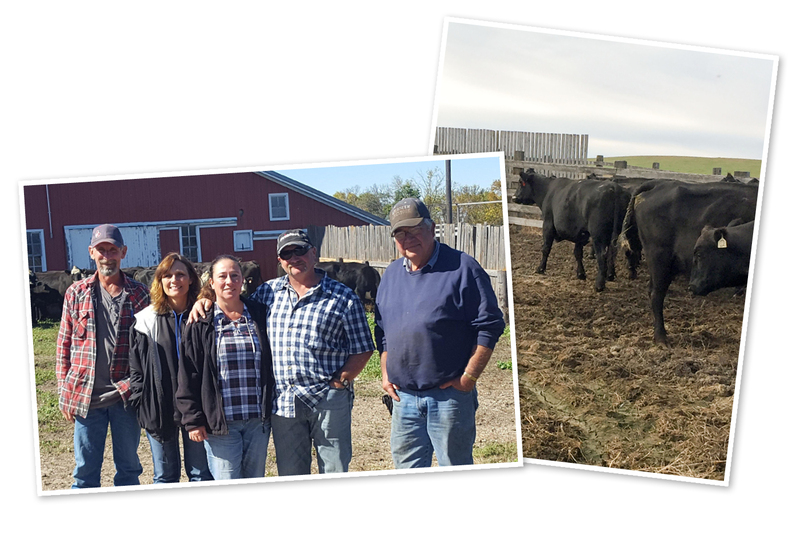 Mark’s neighbors, Greg and Marsha Krance helped transfer the cattle to Jim’s farm. 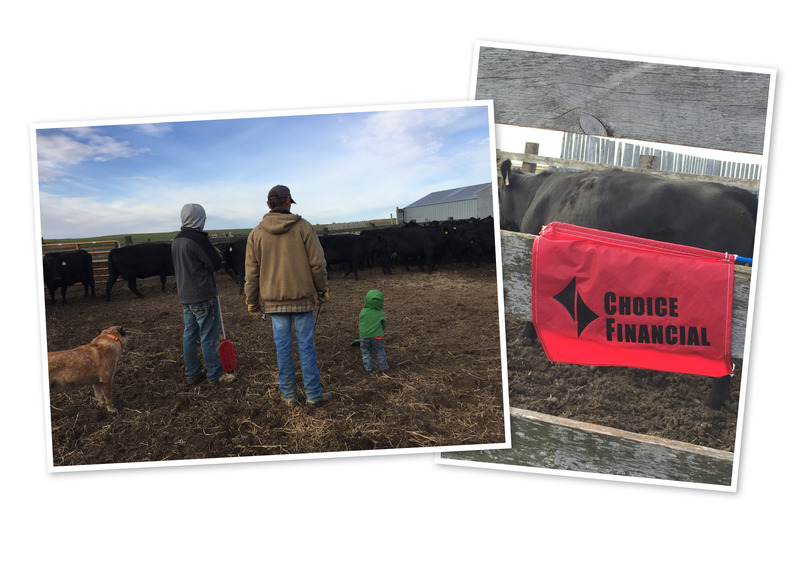 The consequences did not go unnoticed in a community made up largely of farmers and ranchers; one of those being Choice Financial Frontline Specialist, Haley Dassinger, and her father, Mark. Haley grew up on their ranch, south of Gladstone, where her dad cares for 130 head of cattle. He’s ‘an old rancher type,’ she said, a no-funny-business, hard-working man who pays for everything in cash. This summer, in the face of drought and hay prices rising by the day, Mark and many other ranchers in the community were forced to grapple with the possibility of losing their cattle. “People were selling their cattle off left and right,” Haley said. Selling cattle is about the worst thing that can happen to a rancher, Haley said. Each heifer is the result of decades of nurturing and thoughtful breeding. This process begins with a rancher’s very first herd — Mark started his in high school — and is refined over the years to ensure the herd is healthy and strong. Mark and Janet Dassinger and neighbors Shari and Lee Stein were grateful for Jim Henningsen’s help. With decades of work on the line, Haley’s father was growing desperate to save his herd. But the situation was looking grim. Meanwhile, due to the drought, hay prices were skyrocketing. Normally in the $40-45 range, bales were going for up to $100. With resources already tight, ranchers were faced with two options: find a place to store cattle and get them fed, or sell them. “My dad was feeling pretty helpless,” Haley said. She shared their situation with her team at Choice, and a teammate suggested she contact Jeff Petersen and Mark Sand. They’re ranchers as well, in a region where the drought was not as extreme. Tentatively, having never met them before, Haley sent an email. “I felt kind of weird asking for help considering I’d never talked to them before,” she said, with a laugh. But when she got the response, it was encouraging. Jeff knew a couple, Jim and Diane Henningsen, who used to raise cattle. 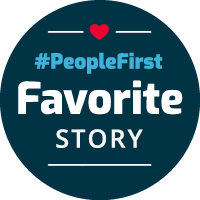 Diane is a Frontline Operations Manager at Choice Financial and works with Jeff in Ellendale. Jim was excited at the prospect of caring for the cattle through the winter and said he would be happy to take in Mark’s herd. He worked to prepare the feedlot and set out cattle feed and hay bales in preparation. For weeks, Mark had been growing more distraught about the situation. When Haley told him that they had found a place, she saw a visible difference. Jeff pointed to the Choice core value, “Know when to ask for help, and know when to offer help.” This, he said, is why it’s important always to be willing to help. A few weeks later, Mark’s herd was successfully transferred to Jim’s feedlot, where they will spend the winter. Saving the herd was a success. 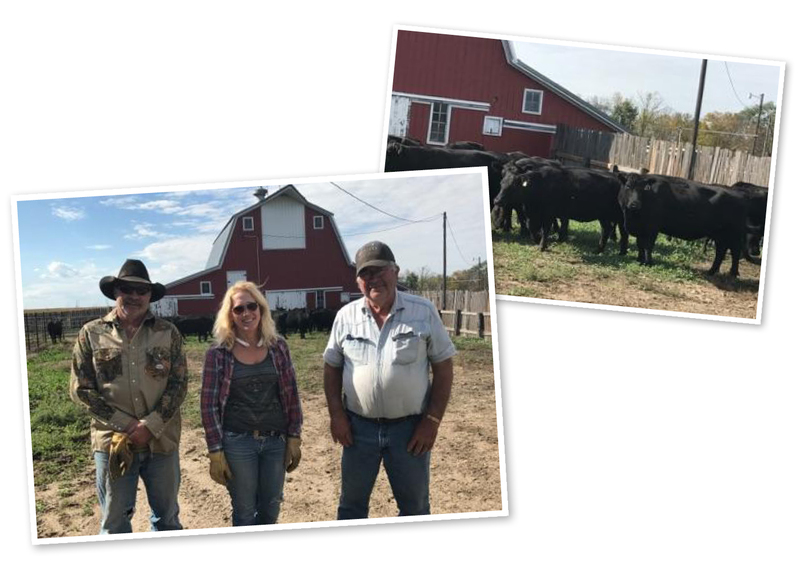 Haley’s fiance Cole, her father Mark and her son Stetson spending time with the cattle.